Hello readers, After a long break we're gonna to surprise everyone with new offers and deals, that you'll never miss. Today, We've got a LOOT Deal for our readers. 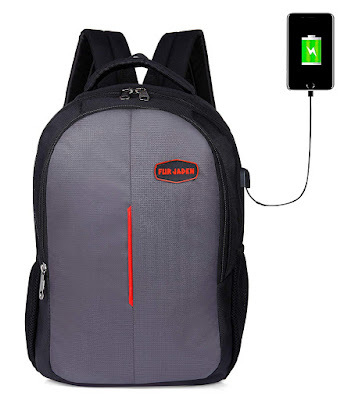 If you're looking for laptop backpack with usb charging point then you've to loot this offer before the stock out. The backpack features a sleek and ergonomic design with a balanced weight distribution through its straps. This makes this product a suitable alternative to bulky and unsightly backpacks. The compact design of this backpack helps you to rest it comfortably on your shoulders while accommodating all your essentials with ease. We will update more deals everyday. so stay updated with our blog..